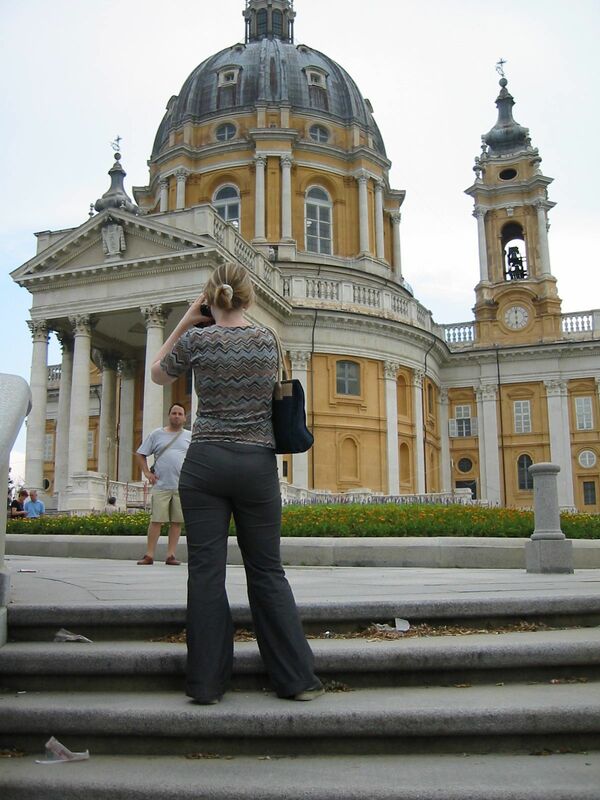 I left “El Barrio” and took some time out to explore the center of Torino. It is deserted. It seems if everybody has left the city or was expelled for some other reason. Quiet Earth. Most of the shops are closed. It comes to my mind that this is a deeply catholic society. So everything is closed on sunday. Well, not everything but downtown Torino is not the place I would recommend to my friends on christian holidays. The city is pretty dense. Huge, monolithic buildings, one after the other. Small roads. No much free space although here and there some small parks have been thrown in. It‘s like a “buy two and get one free” offer. You go for the bonus but in the end you just get the initial offer. So I leave the center and walk my way along the big road towards the river Po. It is getting nicer and nicer then. And greener. Public football places, kids playing. Every now and then a refreshing public water supply. I finally I found my way to the Superga mountain railway station. I spend EUR 4,13 on a return ticket (8000 Italian Lira). I enjoy the trip with the ancient cable car and on the top I am being served with a beautiful view on Torino. Well, it could be better as the weather is a bit dizzy today. On the top of the mountain there is basically a church and a couple of shops. A classic tourist trap. The church is under reconstruction so you can‘t get in anyway. I dont‘t care as I am fed up with churches anyway. I rarely visit even museums when I enter foreign cities. It is so boring. The shops offer a a mix of fan articles for the two big J‘s: Juventus and Jesus. I guess most people go for Jesus, with Juve securing a strong second place. While I was shaking my head, hacking on my log a bit and listening to the disgusting pop music that poured out of the bar‘s shrieking loudspeakers some people were folding out flags and were generally spending too much money on useless stuff. I am spending some of my money on some useless paraphernalia as well. I am not too unhappy with it as I am able to bring it down to a reasonable price. Then I have to leave. My tourist job has ended. I am going to rejoin with some of the Hackmeeting guys in hope for a delicious meal. My flight leaves at 7 in the morning. Hope I will find some sleep before. I have 1 small “problems” – maps of Torino City in A-4 og A-4 format… Do You know a way to help us. I only want the maps in one ex. – it is easy for me to make foto-copyes!